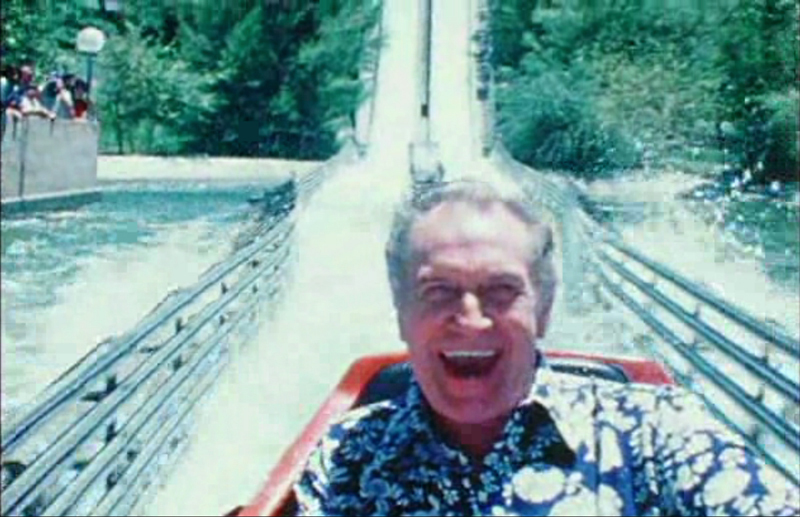 Actor Vincent Price (May 27, 1911 - Oct. 25, 1993) on the Jet Stream flume ride at Six Flags Magic Mountain, early 1980s. Screenshot from "America Screams" (1985), an independent documentary film by Scott Campbell and Gary Kyriazi (Cyclone Productions). LW2615: 19200 dpi jpeg from lo-res screenshot.